Question: Are you aware of your stress? Do you know if you are or aren’t? 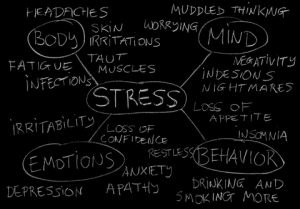 Do you know what stress does to your body & brain? Do you have a plan to become de-stressed? That’s right – being aware of your stress, what your stress is doing to you, and coming up with a plan to get yourself into ‘rest & restore’ mode. Half of us walk around stressed, not even realising that the knot in our stomachs is from stress, or that our shoulders are up around ears (because of stress) or we’re holding our breath (because of stress). We may have all these signs, and just not realise we’re in stress-all-the-time mode. When we’re stressed, our bodies activate the sympathetic nervous system (you’ve probably heard it referred to as ‘fight or flight response’). It diverts blood flow from digestive organs and skin to muscles and brain and raises your heart rate, putting you on alert. When your sympathetic nervous system is in charge, the body produces adrenaline and cortisol. This is supposed to be temporary only – if we stay in this state for long periods of time, it can lead to some pretty bad consequences. Your digestive juices are shut down so you’re not digesting food properly (hello stomach problems). If your brain is constantly washed in cortisol it actually makes your memory worse AND shrinks your brain (seriously – you can google ‘cortisol effects on brain’ or here’s one of the links I found). Too high levels of cortisol also make your body hold on to fat longer. Yes, you read that right – too much cortisol makes our body want to hold on to fat and we want to eat more (here’s an article explaining it in more depth). Too much cortisol for too long a time will shrink your brain, make your memory worse, make you age faster, make it harder to lose weight and easier to gain fat on your stomach AND make your digestion worse. (side note: like everything, cortisol itself is not evil – the right levels of cortisol in our body are good. We’re talking about chronically stressed, too high levels of cortisol in the body). THIS is why you need to be aware of stress. The aim of National Stress Awareness Day (NSAD), organised by the International Stress Management Association (ISMA), is to increase the public’s awareness of stress and how it can be managed. 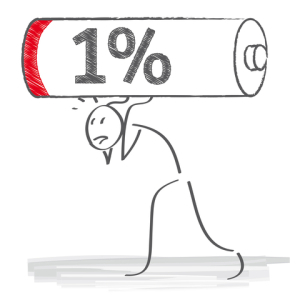 ISMA refers to studies by Mind and CIPD/Simplyhealth that approximately one in five (19%) of people have called out of work due to stress and stress has become the most common cause of long-term sickness absence for both manual and non-manual employees. Mind estimates that £8 billion a year could be saved by greater awareness and mental health support (source: ISMA’s facts about stress page). Here’s the thing: if stressed is your normal, you might not even be aware that you’re dealing with chronic stress. Our bodies need to stimulate the parasympathetic nervous system, ‘rest and restore’ (or ‘rest and digest’) mode, to help restore energy to the body (you can click here if you’d like an overview of the sympathetic and parasympathetic nervous systems). This is true in general – we’re supposed to go between the two and have a balance, and especially when you’re chronically stressed. Here’s the thing: you can’t just ‘think’ yourself into rest & restore. You have to put yourself in a situation where you’re changing your physiology to stimulate the parasympathetic nervous system. So how do you stimulate the parasympathetic nervous system? Well, obviously massage is GREAT for that (right? I mean, it really does relax you – I’m not kidding here. There’s a reason I became a massage therapist). Basically, there are a lot of things you can do to manage your stress – you just need to decide to do it. Sometimes life stress is just way too much to manage on our own – and that is okay! It doesn’t make you a weaker person if you need extra help (and I’m speaking from experience, here). I can tell you so many of my clients are talking to someone, or on medication to help them – it’s more common than you think because we just don’t talk about it enough. In Waltham Forest, you can call you can contact the service on 0300 555 1271. You can also get a referral through your GP (and most GP’s offer a call back service so you might not even need to go in for a referral). If you’re not in Waltham Forest, in the UK you can get referral and sometimes prescriptions from your GP. In case you love massage and want more reason to make it a core part of your stress management, I thought I’d include this research on massage supporting people with mood improvement and anxiety. ‘Anxiety reduction is one of the most well-established effects of massage therapy with evidence for this crossing multiple presenting conditions and populations…reductions in trait anxiety and depression were identified as massage therapy’s largest effects. A number of studies also show that massage therapy increases oxytocin, which may be one of the mechanisms by which it mediates anxiety’ (p. 4 of the AMT’s July 2013 Classified Massage Therapy Research). And of course there’s the link between body pain and stress (which really could and probably will be a whole other piece) a whole other piece…. 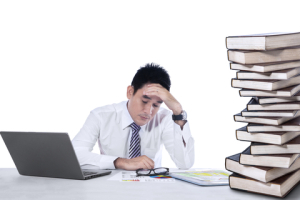 it’s difficult to complete work when distracted or inhibited by pain… and not being able to complete work will create, of course, more stress. Where we have been able to help our clients with symptoms such as lower back pain, neck and shoulder pain, and hand/wrist pain, they have reported lower levels of stress. 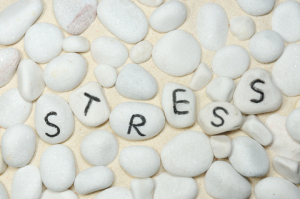 What is your stress management plan? If there is ONE thing I want you to take from this article it’s a game plan on how you are going to manage your stress moving forward. Choose something easy that you love – there is NO point going to a yoga class if it bores you, having regular massage if you hate being touched, or planning on spending time in nature if you’re a 2 hour drive from your nearest tree. But, if you savour your yoga time – do that. If you feel like a monthly massage, or facial, or reflexology, is a guilty pleasure you have to ‘deserve’ to indulge in- stop feeling guilty about it and start seeing it as a core part of your self-care. If you’d like to get an hour in the bath without your children walking in on you and asking you to take apart a piece of lego or telling you the latest cool thing about Fortnite – tell your husband/wife you NEED that time and make it sacred. If you don’t take care of your body, eventually it will break down and MAKE you rest, and trust me, it will be at the least convenient time possible. Seriously. Take a minute to think about what you’re going to do regularly to get yourself into rest & restore mode. Leave me a comment here, or reply to the email or post on facebook to make a commitment – what’s your stress management plan? p.s in our free facebook group for desk workers, this month our theme is ‘breathing’ for stress awareness. Click here if you’d like to join.